GAZA CITY, GAZA STRIP (AP) — Gaza’s Health Ministry says a Palestinian has been killed and dozens injured by Israeli fire at a border protest. Israel’s military said Palestinians hurled grenades, explosive devices and rocks toward troops and one soldier sustained light injuries from shrapnel. It said aircraft struck several targets in Gaza in response Friday. Gaza’s militant Hamas rulers are working to escalate weekly protests with additional days and locations since Egypt-mediated cease-fire talks stalled this month. Hamas has been leading protests since March in part to draw attention to a decade-old Israeli-Egyptian blockade imposed after it took control of the territory in 2007. 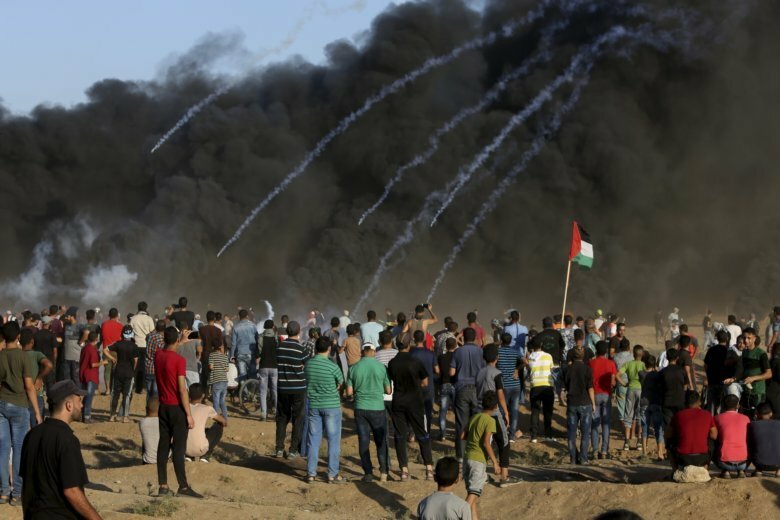 Since then, 135, mainly unarmed, protesters have been killed by Israeli fire, according to Gaza’s Hamas-run health ministry and local rights group. An Israeli soldier was killed by a Gaza sniper in that time.